In your HubSpot account, navigate to your contacts, companies, deals or tickets. In the upper right, click Create [object]. In the right pane, enter the properties of the object. For deals and tickets, learn how to associate other records and their activities to your newly created deal or ticket. For contacts and companies, additional fields will appear. 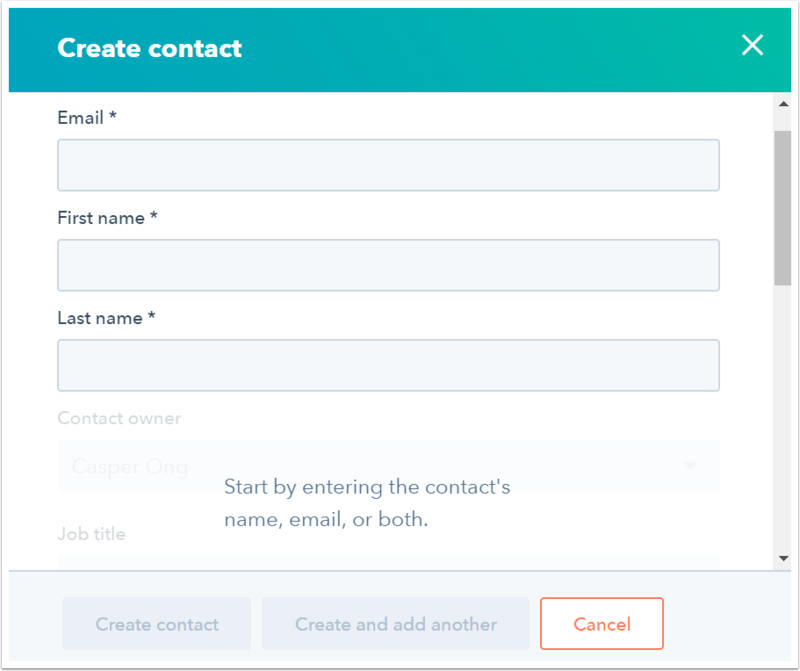 By default, these fields are based on the properties in the About section of a contact record. Learn how to customize the properties that appear when creating an object manually. Please note: although it is possible to add contacts to the CRM without an email address, it is not generally recommended because HubSpot uses the email address to deduplicate contacts and automatically associate contacts with companies.